Readers looking to run full-featured Windows on their Macs have the chance to snag a copy of Parallels Desktop 8 for Mac for $59.99, a $20 savings off the usual price. 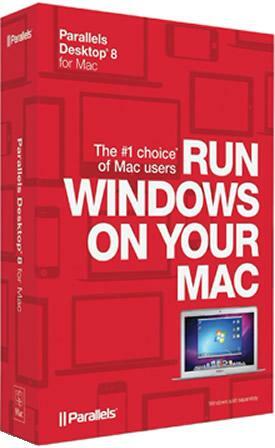 Users of Parallels Desktop 7 or 6 are also included in the sale and can grab an upgrade for $39.99. In addition to the low prices, Parallels is giving away one copy of Parallels Desktop 8 for Mac every day until the sale ends on Nov. 27, and a grand prize of a MacBook Pro with Retina display that comes pre-loaded with Windows 8 and Parallels Desktop 8 for Mac. Readers can click here to learn more.